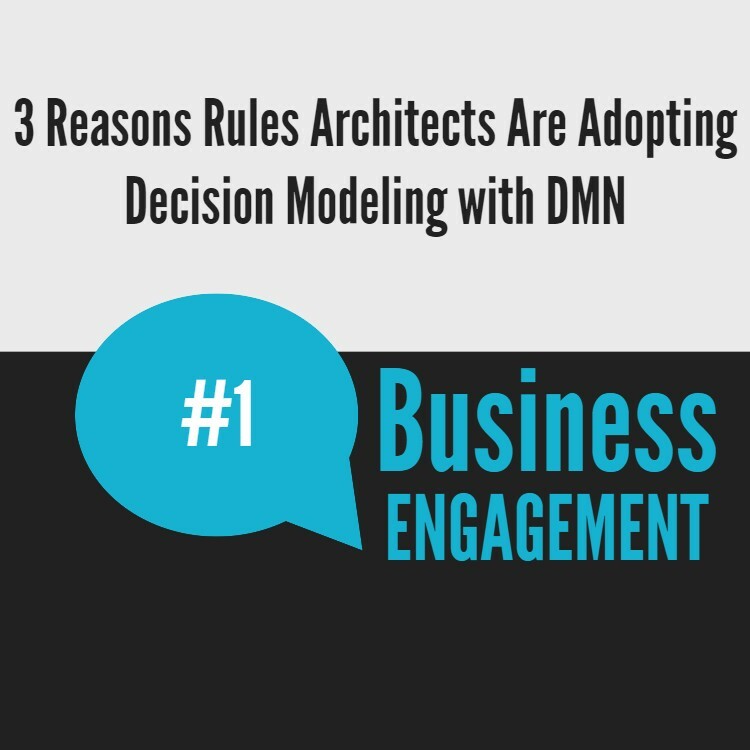 Rules architects find that building a model like this immediately engages their business partners – business analysts, subject matter experts and business owners – in the project. Instead of diving straight in with detailed rule analysis as step 1, decision modeling let’s everyone see the forest not just the trees. Getting business partners engaged early is hugely beneficial but rules architects know they need to keep them engaged. Rules architects use a BRMS on projects where regular, rapid even constant change is going to be the normal state of affairs. A decision model helps here too. Being able to come back to a graphic model they are familiar with, that they built, gives business experts a visual guide to the decision they are maintaining. They can quickly identify the part of the decision that needs to change and put that change in context. One version of the rules, maintained by the business, managed by a DecisionsFirst Modeler decision model. Next week I’ll talk about the power of decision modeling to improve traceability and impact analysis. If you want to learn more, check out our white paper on how decision modeling helps you maxmize the value of business rules.